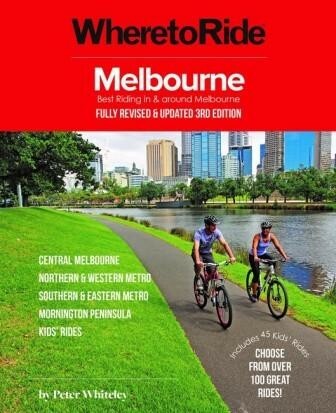 Fully revised and updated, the third edition of Where to Ride Melbourne is an essential resource for anyone who wants to enjoy riding in Melbourne. The 49 adult rides are sure to motivate and inspire you to explore the wide variety of trails the city has to offer. Take in the seaside views of Mornington with family and friends, taste the inner city cafe routes, or immerse yourself in the serenity of the Dandenong Creek Trail; there are fun and interesting rides for riders of all levels of experience and fitness. Now also including 37 kids rides, you'll find local playgrounds and parks with suitable trails where youngsters can get outdoors, learn to ride safely and have fun; its what cycling is all about! You must be logged in to compare products.